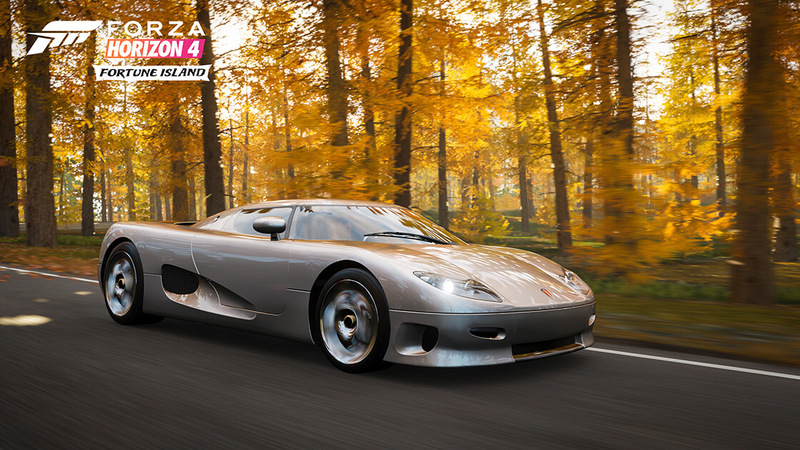 Turn 10 Studios has revealed the cars, features and events of the Fortune Island expansion coming to Forza Horizon 4 on Thursday, December 13th – available at no additional cost to Forza Horizon 4 Ultimate Edition and Expansion Pass holders. 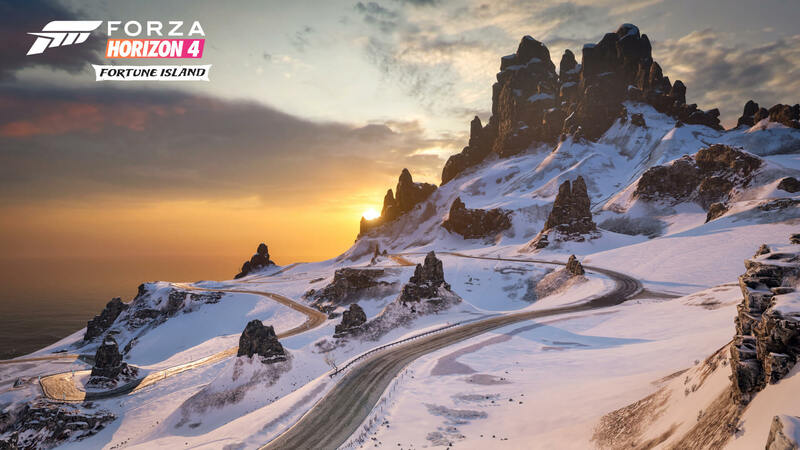 Set in the remote northern reaches of the British Isles, the Fortune Island expansion for Forza Horizon 4 is designed to be the most treacherous expansion ever seen in the series. 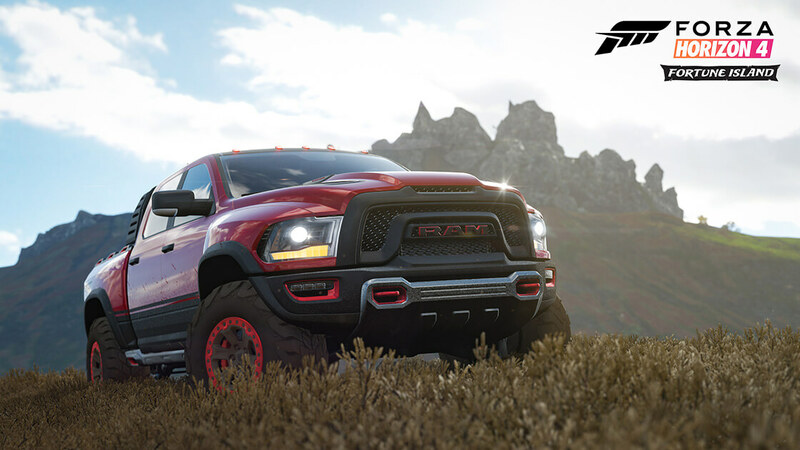 Fortune Island delivers extreme terrain to be explored in the vehicle of your choice. 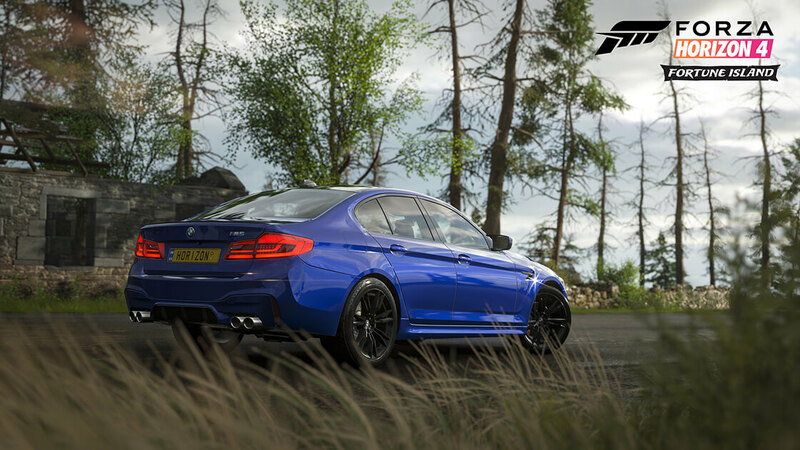 From the sheer cliffside roads of Laufey’s Throne to the massive Drift Zone on the Needle Climb – the largest paved mountain switchback road in the history of the Forza Horizon series. For those more adventurous to explore, Fortune Island also has the mythical Oldlarch Forest and the mysterious sunken village of Fenholm – designed for both the curious and brave alike. 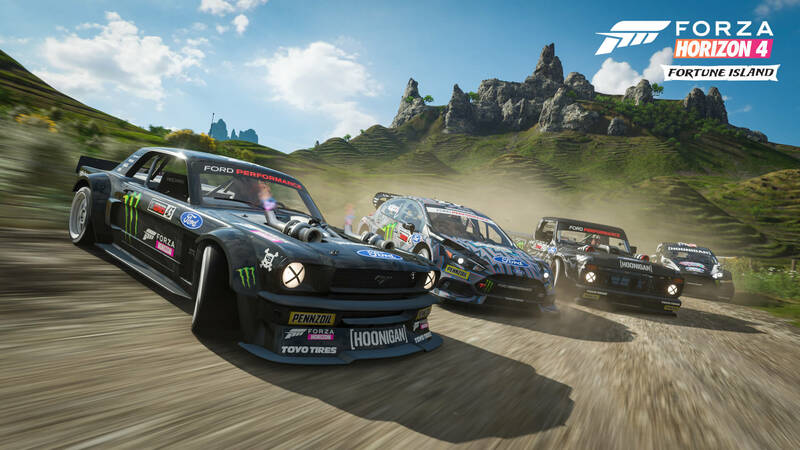 Fortune Island introduces a dozen of new events to discover, including Cross Country, Asphalt Races, Drift Zones, and more. 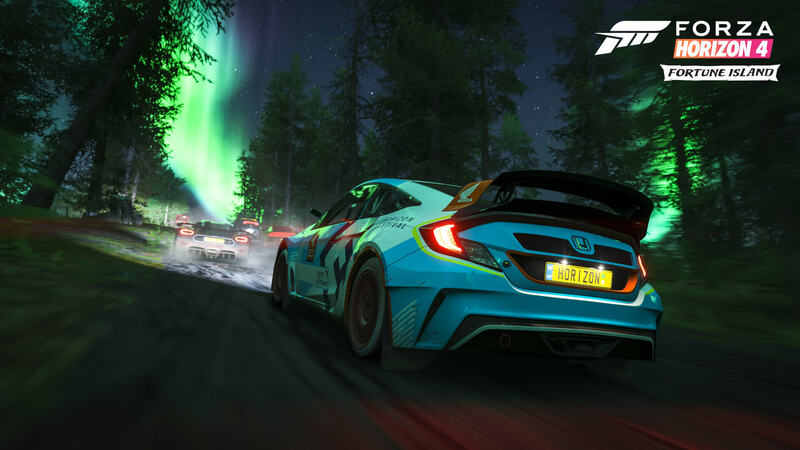 But it’s not just the terrain that is dangerous, however, as there are also moody, atmospheric storms with driving wind, lightning strikes, and even the beauty of the Aurora Borealis – all at the backdrop of the most extreme and dangerous location of the Horizon Festival yet. 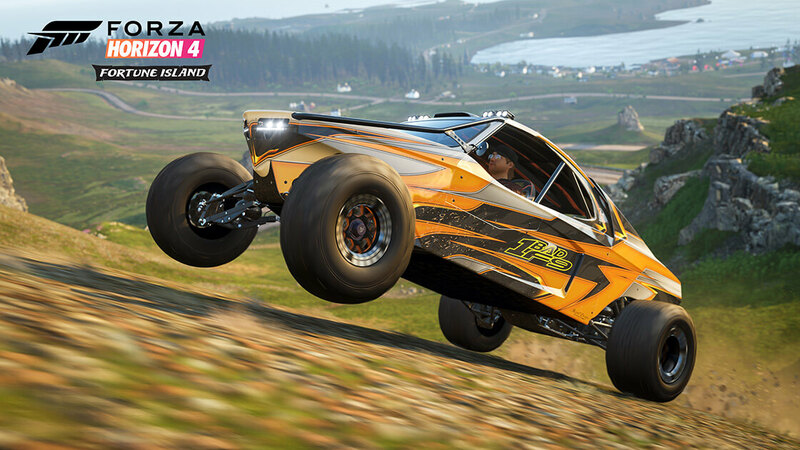 In addition to the traditional racing and drift events we all know and love from Forza Horizon 4, the Fortune Island expansion also features a new challenge – the hunt for hidden treasure. Players will be tasked to seek out “fortune” as soon as they arrive onto the island. Your quest to search down hidden treasure chests scattered across the expanse of the island will see you solving riddles and locating treasure chests to add millions of credits to your bank account, as well as some incredible new vehicles. 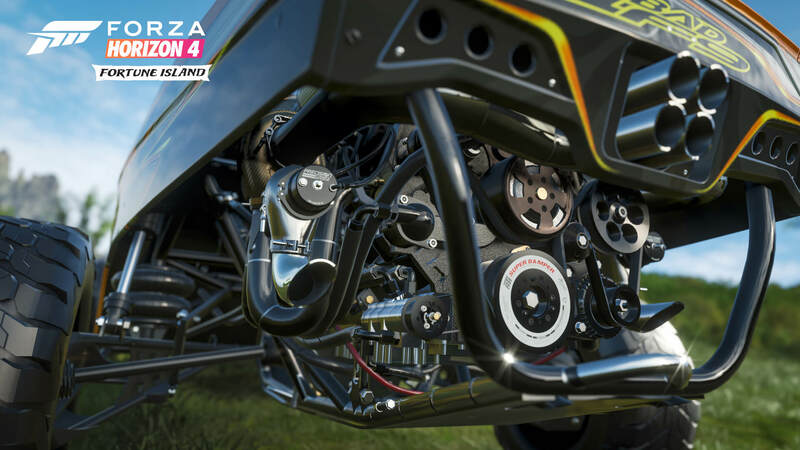 There’s also the brand-new Trailblazer PR Stunts – a new type of event in Forza Horizon 4 that will see players try to find the quickest route between two points. 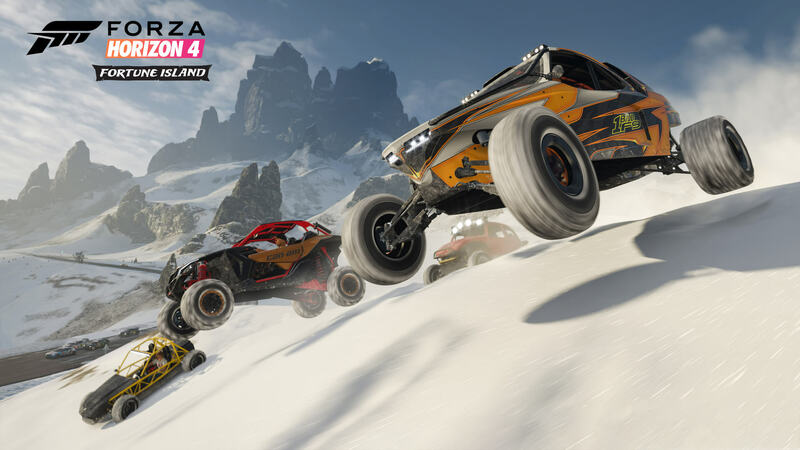 Trailblazer events are a test of route planning, split-second reactions, and driving skill all at once as players encounter huge elevation changes and tricky terrain at every turn. 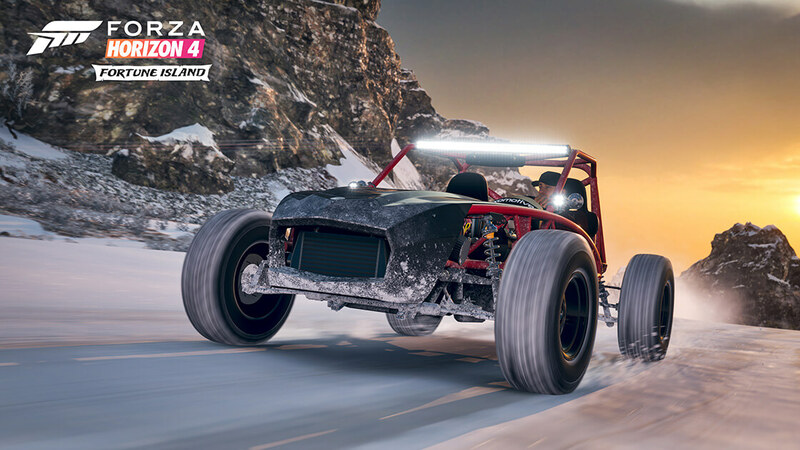 Fortune Island also comes with its own Horizon Story in Drift Club 2.0, which sees the return of everyone’s beloved Welshman Robert Glenn to help you in your quest to go sideways on the most extreme drift roads ever seen in the series. 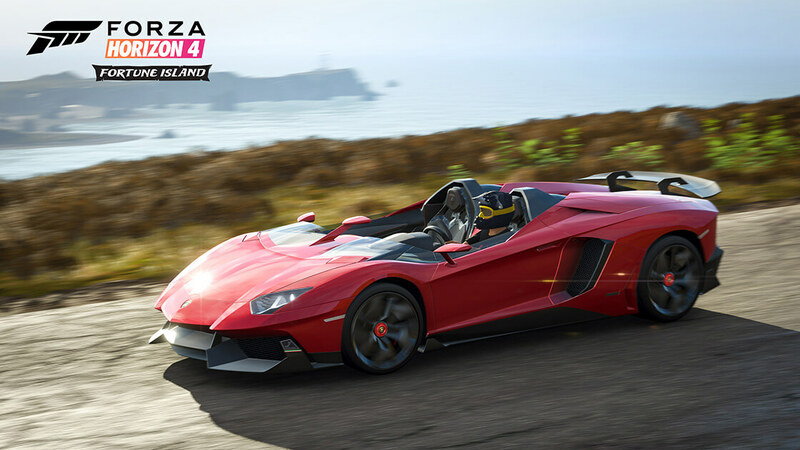 The epic driving experiences of Fortune Island also demand an assortment of purpose-built rides ready to take on the extreme terrain and weather conditions of this mythical British Isle. 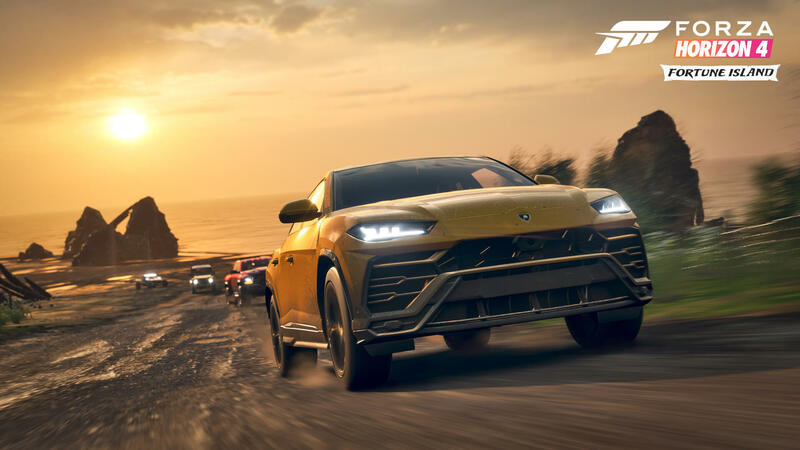 From the lead cover star of the expansion in the 2019 Lamborghini Urus to rough-and-ready vehicles like the Funco Motorsports F9 or the Ram 1500 Rebel TRX Concept, there’s a little something for everyone to take out onto the perilous cliffside roads and mountain trails of Fortune Island. 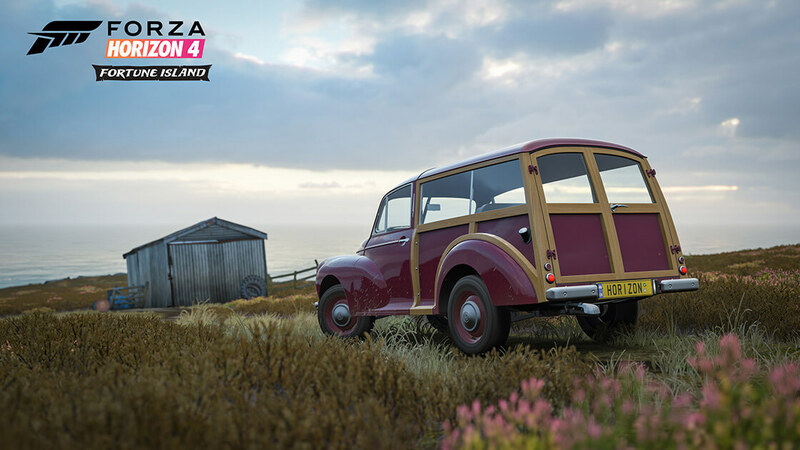 You can check out all 10 vehicles featured in the Forza Horizon 4 Fortune Island expansion below, featuring the official descriptions published by Turn 10 Studios. To call it a buggy does not do it justice; in fact, it would be wrong. This is a sandcar, built by a family that has been building “some of the baddest sandcars on the planet.” Ever since Gil George built his first sandcar in 1968 people have been asking to buy them. Among the field of Funco builds, the F9 stands atop them all. We are talking about a vehicle that will bust standing wheelies, in the sand, from 60-100 mph. To do that takes massive horsepower, and a high boost twin-turbo LS motor out back, making an outrageous 1,750 ponies does the trick. Making it the most powerful vehicle to come to Forza yet. Of course, it’s not just massive power, it’s the ultimate chassis, suspension, and driver focused amenities. Take this beast for a ride and it will quickly become apparent where the “Fun” in Funco comes from. Discover Fortune Island This December 13th! To compliment the all-new campaign experience, the Fortune Island expansion introduces 24 new Xbox Live Achievements worth a total of 500 Gamerscore points! 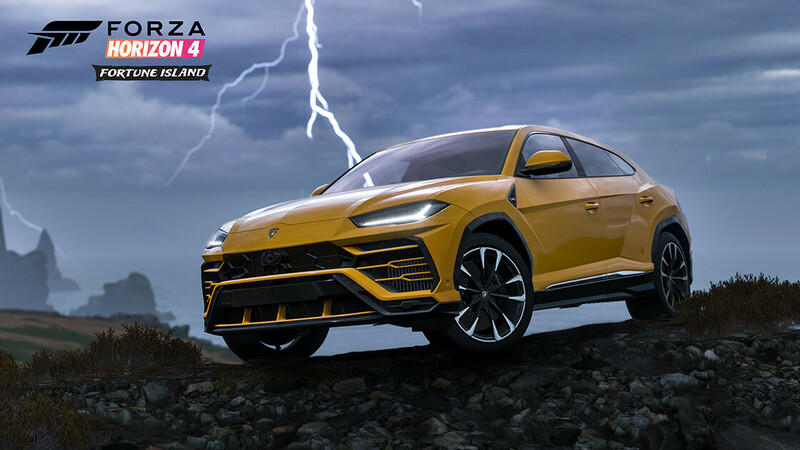 As a reminder, the Forza Horizon 4 Fortune Island expansion will be available on Thursday, December 13th at no additional cost to Ultimate Edition and Expansion Pass holders. Those who wish to purchase it standalone can do so for $19.99 and Xbox Game Pass subscribers receive a 10% discount on top of that. 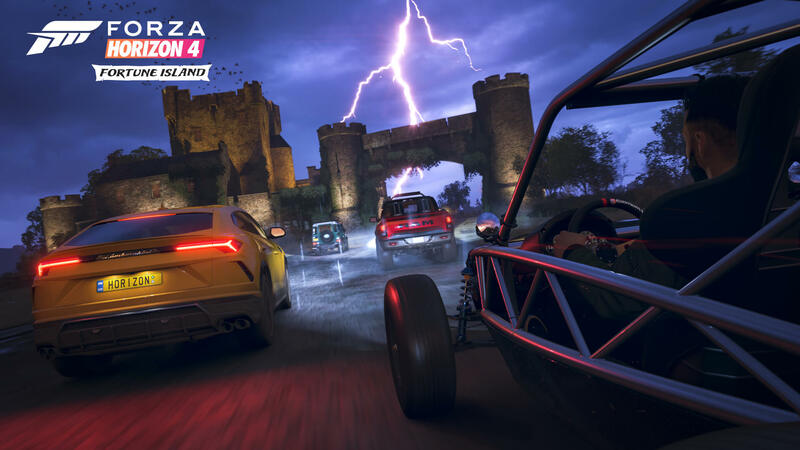 For an in-depth look at Fortune Island, don’t miss the next official livestream direct from Playground Games in Leamington Spa on December 13th for a detailed tour of this extreme and perilous one-of-a-kind island. 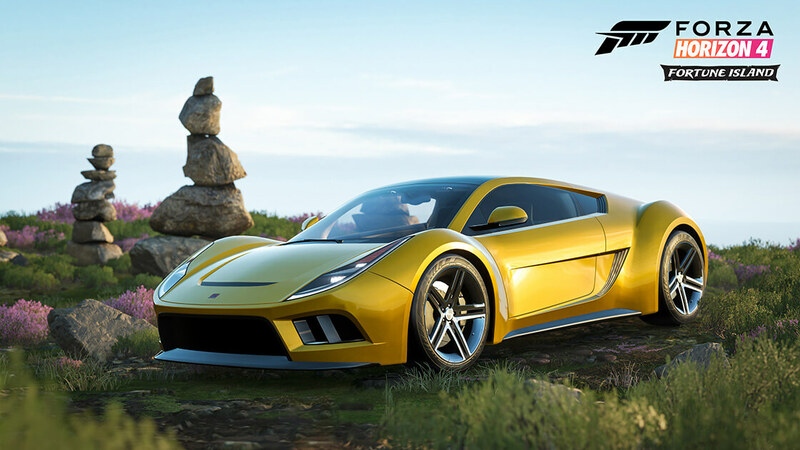 You’ll be able to catch the show live on the official Forza Mixer and Twitch channels from 7am Pacific (10am EST, 3pm BST). 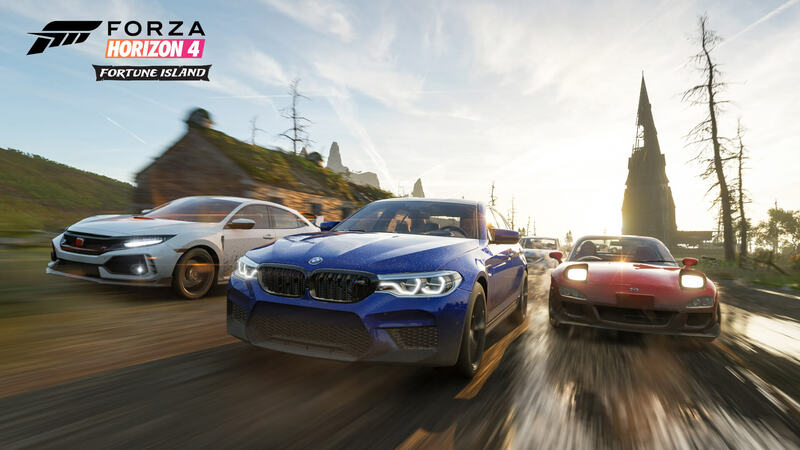 It will be followed by the December edition of the Forza Monthly broadcast show, which will also feature a deep dive into Fortune Island and all its mythical wonders at 10am Pacific (1pm EST, 6pm GMT).